Classic Minerals Limited (ASX:CLZ) has today announced promising orientation data from drilling at its Lady Magdalene deposit, which indicates orientation data similar to the Lady Ada gold deposit discovered by CLZ’s CEO Dean Goodwin in 1999. 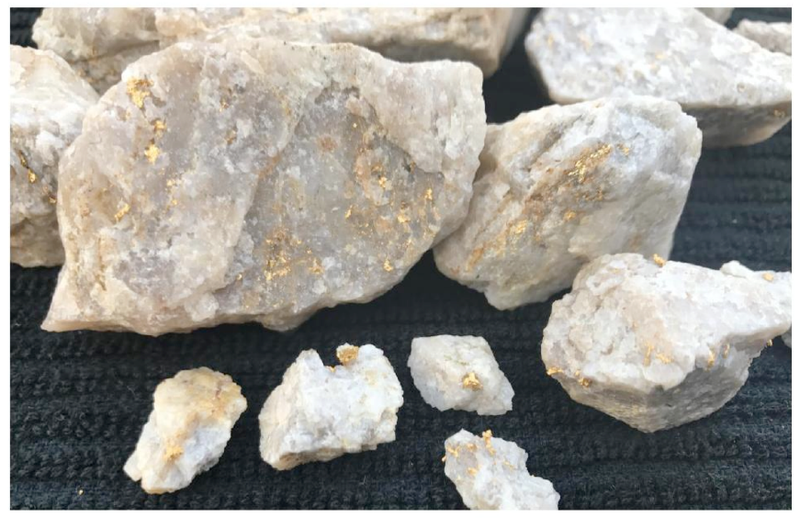 The latest diamond drilling program, part of Phase 3 of the company’s drilling program at the Forrestania Gold Project in WA, is now finished. Both diamond holes targeting Lady Ada style high-grade cross cutting gold structures have returned orientation data that is promisingly similar to that observed at Lady Ada. The holes are intended to be used to provide structural data, enabling the company to determine the whereabouts and orientation of any high-grade zones that have not yet been discovered in the area. The below map indicates Lady Magdalene’s proximity to the Lady Ada deposit. This methodology is the same as processes used by Goodwin when he discovered Lady Ada. Prior to Goodwin’s theory that lead to Lady Ada being tested, the deposit was considered low-grade — as Lady Magdalene is currently considered to be also. 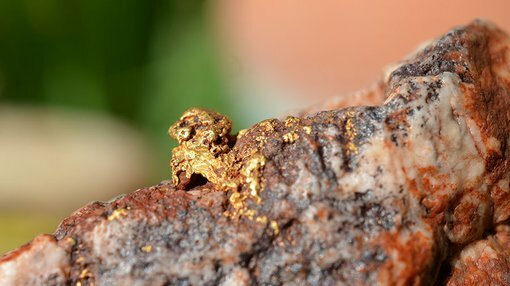 The below image is an example of the visible gold in rock samples taken from around the Lady Ada deposit. 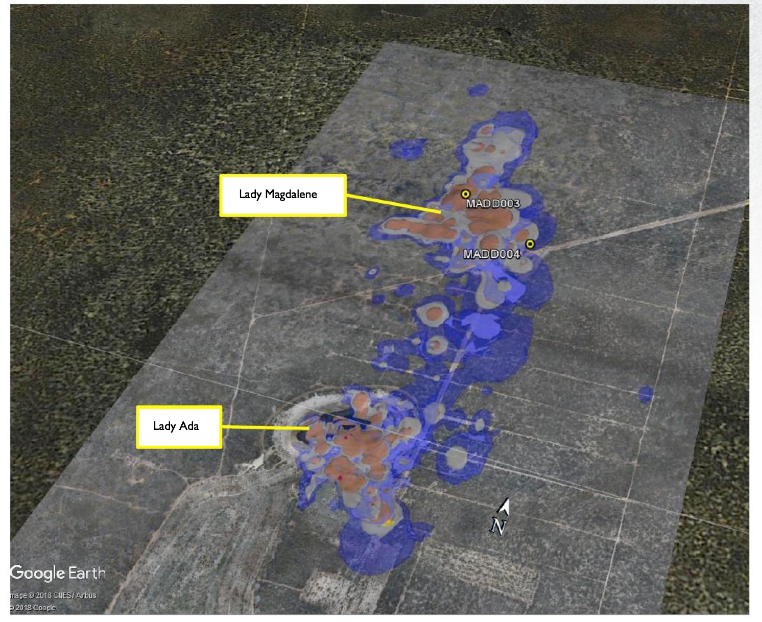 The drilling programme was intended to target repetitions of Lady Ada within the Lady Magdalene ore body, and today’s news confirms that the scale of alteration and mineralisation observed by drilling so far has indicated a large-scale gold system. Specifically, structural readings taken from the latest two orientated diamond holes MADD003 and MADD004 revealed several quartz veins and narrow shear zones exhibiting similar orientation characteristics to Lady Ada. CLZ now plans to conduct a further RC drill programme to follow up the structural data generated by the diamond holes. The follow up drilling will be to confirm the existence of high-grade cross cutting lodes and start to delineate grade, size and extent of any high-grade zones within Lady Magdalene.